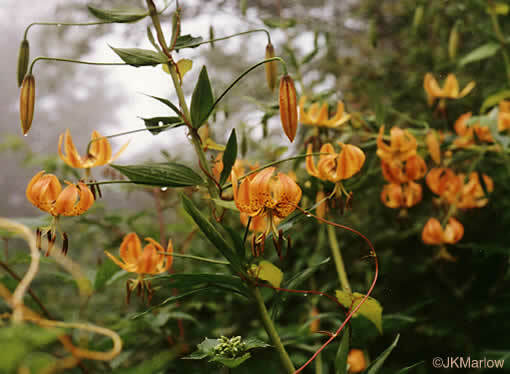 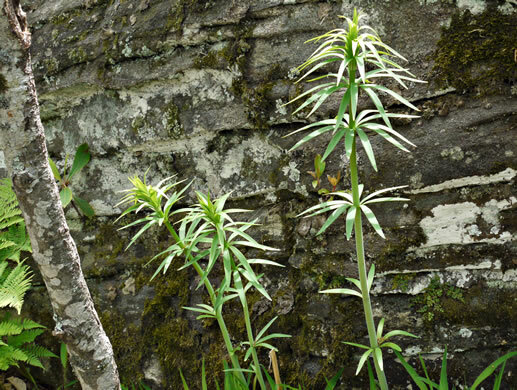 Leaves narrow, lanceolate, and numerous, per Wildflowers of the Southern Mountains. 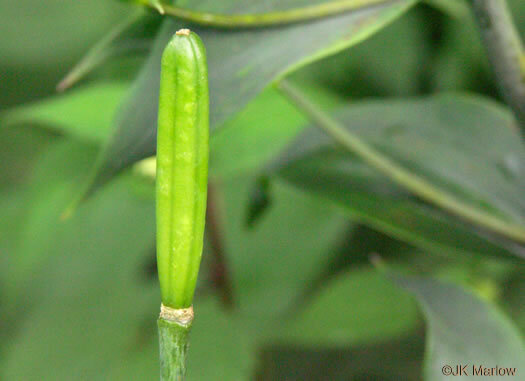 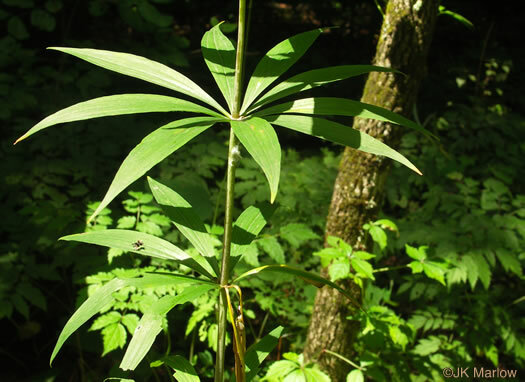 Leaves typically 10x or more long as wide, per Weakley's Flora. 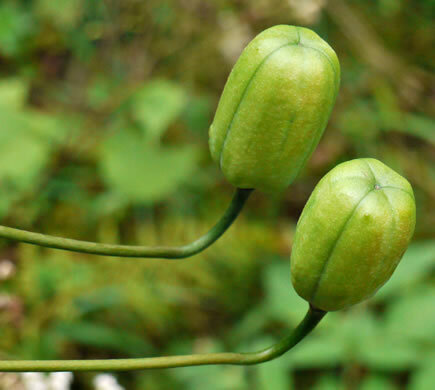 Leaves in whorls of 5-20, widest at or below middle, tapering to both ends, per Wildflowers of Tennessee, the Ohio Valley, and the Southern Appalachians. 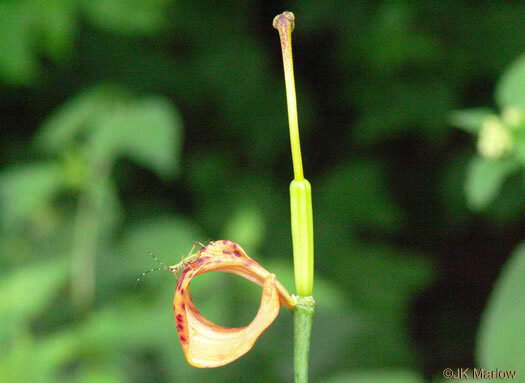 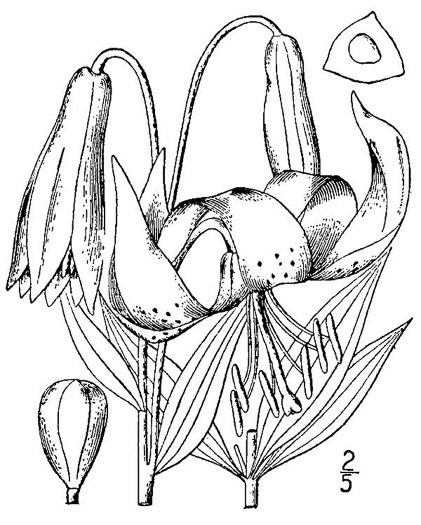 Tepals at maturity recurved fully to form a circular shape, per Weakley's Flora. 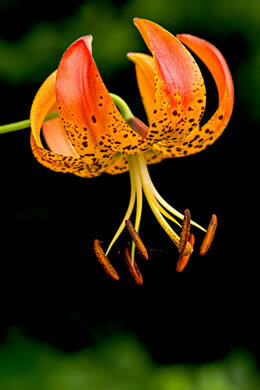 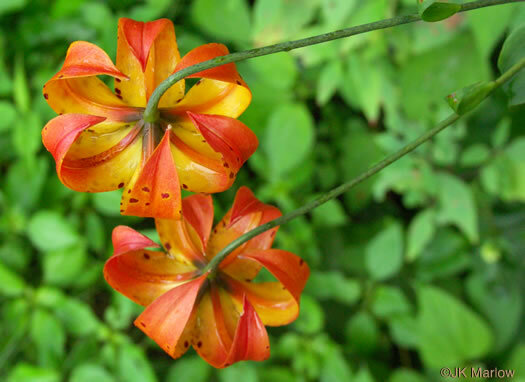 Tepals lanceolate, extremely recurved, per Wildflowers of Tennessee, the Ohio Valley, and the Southern Appalachians. 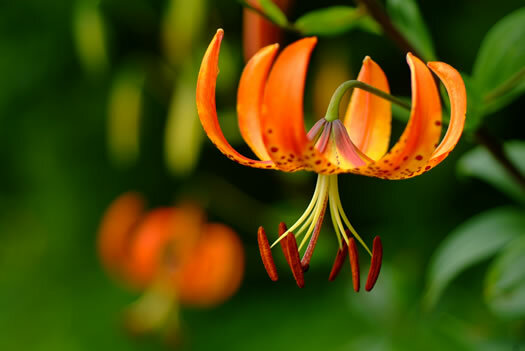 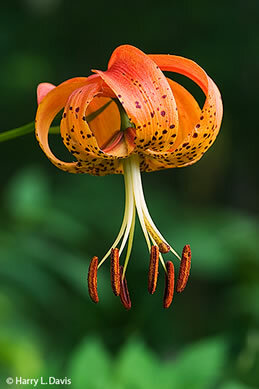 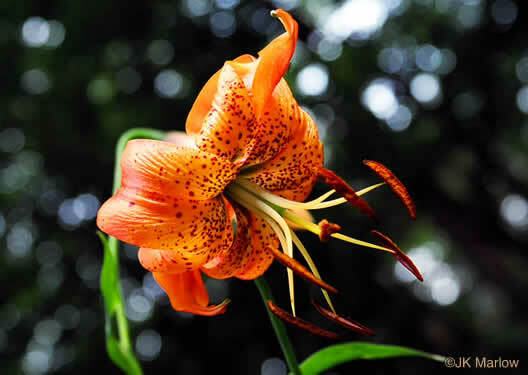 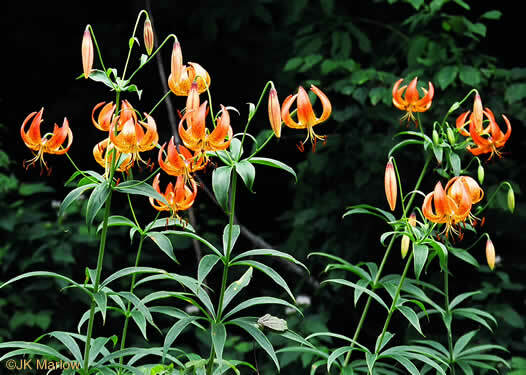 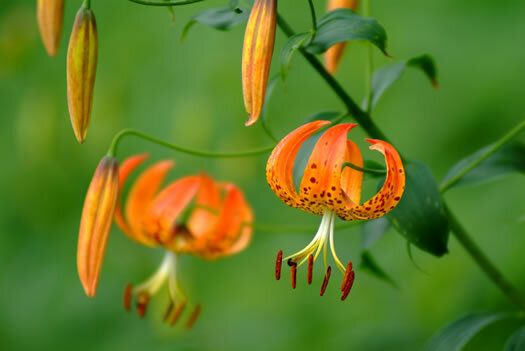 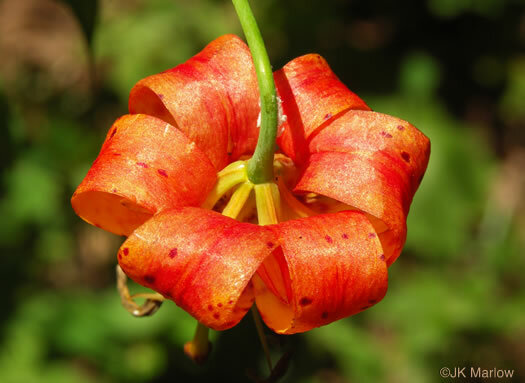 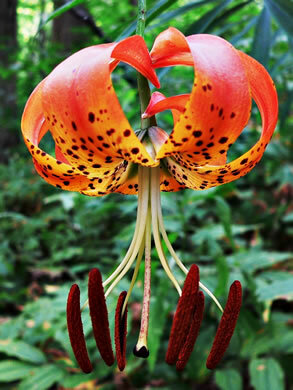 Flower color ranges from orange to red, liberally spotted with purple, per Wildflowers of Tennessee, the Ohio Valley, and the Southern Appalachians. 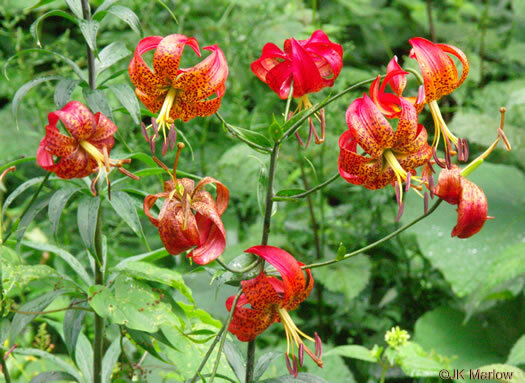 Twenty flowers or more on a single plant is not unusual, per Wildflowers of the Southern Mountains.